In addition to the above, there are some surgeries which commence at 8.30am. Please ask at reception for further details. Please be aware that our phones are unavailable between 12:45-13:45. Many everyday illnesses and injuries can be managed at home with a well-stocked medicine cabinet. Ask a pharmacist about what you should have, including over-the-counter pain relief and remedies. If you need a Doctor or medical advice outside of normal surgery times, NHS 111 can provide this service for you. Calls to NHS 111 are FREE from both landlines and mobile phones and the service is available 24 hours a day 365 days a year. Calls to the NHS 111 service are handled by a team of highly trained call advisors, supported by experienced Clinicians, who will assess the callers’ needs and determine the most appropriate course of action. This may include ambulance dispatch, referral to a service within the NHS, referral to an alternative service or reassurance and information including self-help. 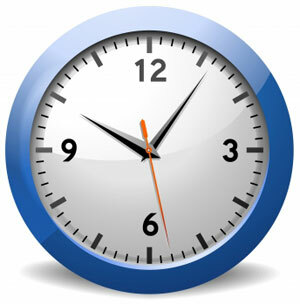 Harmoni still provides Out of Hours care between 8:00 and 8:30am and between 6:00 and 6:60pm alongside NHS 111. The new telephone number for Harmoni is 01306 267113. There is an Urgent Treatment Centre at Crawley Hospital (Tel: (01293) 600300). Open 24 hours per day seven days per week. they can help with a range of NHS services, including cuts, sprains and strains, broken bones, wound infections and minor burns and scalds. Call 999 in an emergency such aas heart attach, sudden unexplained shortness of breath, heavy bleeding, unconsciousness, traumatic spinal or back pain. This service should only be used in a critical or life threatening situation.